Following Friday’s terror attack in Jerusalem, in which the murderers apparently stashed their weapons in the al-Aqsa Mosque compound, Israel has decided to expand the deployment of metal detector gates to all entrance to the Temple Mount. Seething, protests and mini-riots have ensued. Palestinian Authority and religious officials held an emergency meeting in Ramallah to discuss the security measures, and called on Arab and Muslim nations to intervene against the Israeli moves. 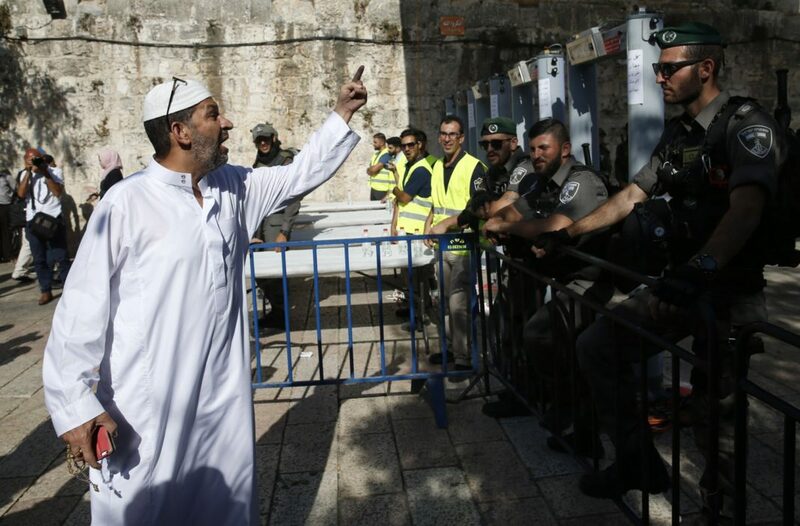 Officials from the Muslim Waqf, the authority that runs the holy site, urged followers to remain outside the compound in protest rather than pass through the metal detectors. 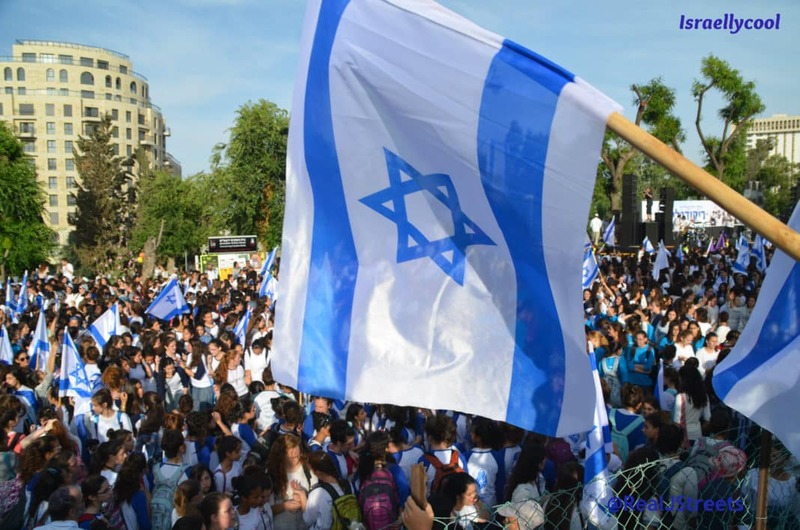 Dozens of worshipers held midday prayers just feet away from the metal detectors, which were operated by Israeli border police in riot gear. In the evening, brief scuffles broke out between police and demonstrators gathered at the metal detectors. Funny, but I can’t seem to find any similar reaction to explosive detectors being installed at the entrances to the Ka’aba Mosque in Mecca, Islam’s holiest place (in addition to other measures). Explosives detectors are to be installed at the entrances to the Holy Mosque in Mecca as the Saudi authorities boost security around the city’s holy sites. Around 180 people work on a shift pattern to man the gates leading to the Masjid al-Haram, which surrounds the Ka’aba, the black granite cube that Muslims turn to when praying. But there are no other measures in place to screen pilgrims for weapons, explosive devices or other banned items, although there are more than 700 cameras tracking them for possible theft, pickpocketing and other criminal or immoral activity. Lieutenant Colonel Fawaz al-Sahafi, who heads the security team at the mosque, told the Saudi Gazette plans to fit “sophisticated metal and explosive detectors” at the multiple gates were under way. He also said there were proposals to monitor pilgrims’ movements and have plain-clothes officers mingling with worshippers to stop them from carrying unauthorised foodstuffs into the mosque. Another security official, Lieutenant General Saeed Bin Abdullah al-Qahtani, said cameras at pilgrims’ residential buildings, traffic initiatives and crowd management plans would improve safety inside and outside the Grand Mosque. There is a ban on private cars carrying pilgrims entering Mecca, and there will be greater intervention from guards to ease congestion and jostling. I guess Jews should not be afforded the right to help prevent their slaughter. 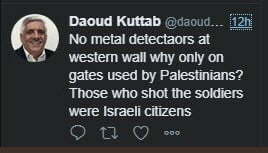 In related news, palestinian journalist Israel-hater Daoud Kuttab tweeted this after the measures were announced. After many people informed him you have to be a complete ignoramus to not know there are metal detectors when you try to enter the Western Wall, he deleted the tweet and followed that up with this lame excuse. Last time I visited the western wall there was no metal detectors. I accept they have been placed since then. should have been coordinated.